It’s been awhile since I’ve printed a book with Artscow – been busy trying new photo book companies as well as new products from companies I’ve tried before. This is a review of the Deluxe line which is a more recent offering and wasn’t available when I first tried the company. You may or may not be familiar with Artscow – the company is based in Hong Kong and they print all sorts of custom photo gifts – keychains, dog tags, purses, playing cards, t-shirts, prints, watches, canvas prints, mouse pads, and iPhone cases just to name a few. A big draw for all new customers is the gobs of free customizable gifts you get when you sign up. They show up as credits in your account and you have to use them before they expire. While the products in the intro offer are free, one thing to note is that shipping is not included. Your package will likely be shipped internationally and it may take longer to get your order. Shipping costs are significantly higher than domestic rates, so be sure to check out the shipping costs page. The page is a bit confusing since there are so many different products and be sure you’re looking at the correct shipping type (regular airmail or Fed Ex) because that makes a big difference. But, if you’re getting the product free or during one of Artscow’s many promos, then just take that into account when you’re comparing prices. There are times when Artscow offers sales with free international shipping thrown in for good measure, so that makes the deal is pretty attractive. The books would have been $57.99 each and $17.99 shipping per book for regular airmail shipping (versus Fed Ex $29.99). So, in total I got the books for about 45% off taking into account the shipping costs and as a bonus they were shipped Fed Ex which I wasn’t expecting. Using Artscow’s software requires a free download of Microsoft Silverlight, a platform necessary for the online software to work. I have used Artscow to lay out my pages before in my prior Artscow books, but this time I created my templates in Adobe Photoshop and then saved them as jpegs and uploaded completed spreads to the book. 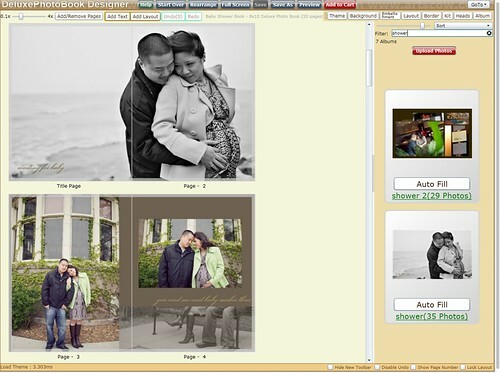 Artscow’s software allows you to fully customize your layouts which is a big plus in my book. Note that uploading photos takes quite a bit of time – a lot longer than some other companies – so my advice would be to start the upload and then do something else while it processes. After using other customizable photobook software like Mixbook, AdoramaPix, Picaboo, Photobook America and Blurb, I find Artscow’s software a bit more clunky to navigate, but I prefer it to other software which doesn’t allow for any customization. It would be nice if they would add opacity controls so you could fade a photo or background. 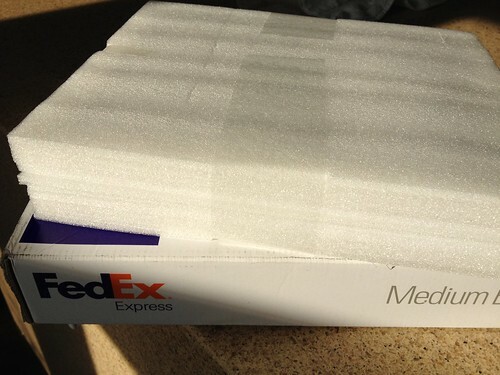 The books came well-packaged – shrinkwrapped, encased in a foam enclosure then packed in a Fed Ex box, but unfortunately that still didn’t prevent a couple of dinged corners. 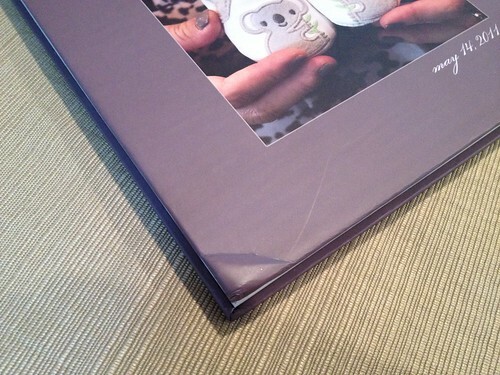 That seems to be a common issue in shipping photo books both domestically and internationally – the packages probably get thrown around so much. I looked at the tracking history and this package went from Hong Kong to Anchorage, Alaska and then to Memphis, Tennessee – no wonder! The book took just under two weeks from ordering to delivery, so that was good and on par with domestic photo book companies. The cover is matte in finish. The color wasn’t even and there was some noticeable banding. You may not notice it unless it was pointed out to you, but I did notice. Still, I felt it was acceptable. 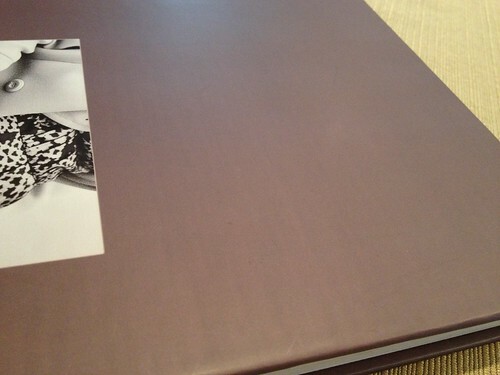 According to the site, the book is bound with adhesive and not stitched. It appears very secure. The book lies flat and there is no gutter in the center which means no image loss. I was really happy with the print quality of the interior pages of the book. My images printed sharp and clear and I was surprised at how bright the photos printed since photos printing too dark is a common issue I’ve seen after printing so many photo books. The pages are super thick and not bendable – the thickest pages I’ve seen in a non-flush mount book. The pages are 75o gsm in weight which is roughly equivalent to about 270 lb. coverstock (this is not a precise conversion – just a guideline) and are printed on real photo paper. The closest comparison I would have is to AdoramaPix’s paper – in fact they both print on Fuji Crystal Archive photo paper, but it would take about three AdoramaPix pages to equal the thickness of one page in the Artscow deluxe books. The book looks and feels high quality. The deluxe books come with 20 pages included in the base price and max out at 32 pages. Extra pages are $1.50 each (for smaller books – $1.00/page). There wasn’t any information on the site to show the max page count and it wasn’t until I tried to add more pages did I find out the limit. My book was no where near finished yet as thirty-two pages is a bit low of a page count for me, so I split up the photos of my baby shower into two volumes. Notice the color of my cover is the same as my dress and nail polish? I used the eyedropper tool in Photoshop to sample the color in my dress and used it as a background color in several of my layouts! It’s one of my favorite ways to make sure my background colors complement my photos. You can also bring out the background color as an accent instead of having it recede. In this layout, I sampled the raspberry color in my scarf to create an eyepopping contrast. We did a baby bump couples photo shoot just before our guests arrived for our shower, so I put those photos in volume one and put the photos of the actual shower party in volume two. 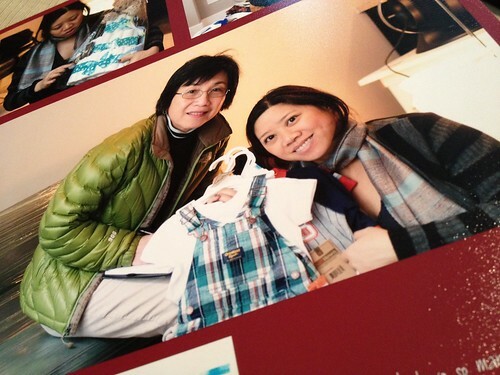 We called our awesome wedding photographer Albert Yau of Secondprint Productions into service again. It may sound a bit much to hire a professional photographer to shoot our baby shower, but hey you are reading a blog by Photobookgirl right? I didn’t want to forget a minute of our shower and I wanted my family to just enjoy themselves and not worry about having to take photos. We were so lucky our photographer was available right before wedding season took off! It’s best to wait for a deal if you can since the free shipping and discount like the one I took advantage of gets you about 45% off. Shipping costs are important to take into account. I don’t focus on them as much on this site, as the costs will vary depending on where you are located, how fast you want your order to arrive and the number of items in your order, but it is an important consideration. In fact, Artscow is running two current promotions. One is for 50% off everything on the site (Coupon Code: HALFOFF, Deal Expires: 12/31/11), while the same discount that I got on my books with free shipping is still available as well. (Coupon Code: BESTBOOKS, Deal Expires: 12/20/11 12/28/11 extended) I did the math and the BESTBOOKS deal is a bit better than the 50% off since shipping is included, but double check the math yourself as it may depend on book size, page count and type of shipping! If you can’t get your books done today this week, the 50% off is still a good deal and goes til year end. A particular type of project that I think these thicker pages would work well for custom children’s board books. How fun would it be to make a custom ABC book? Get started by clicking below to sign up for a free account with free credits! 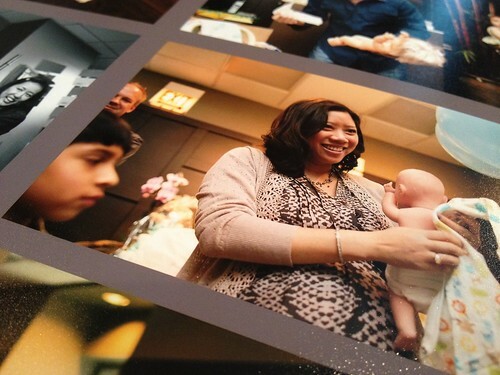 FREE 1,200 photo prints, including 600 4x6s and 600 5x7s, PLUS 3 Free 8×8 custom cover photo books! Please note the above is a referral link to Artscow – I will receive free product credits if you sign up for an account. You can also refer your friends and accumulate credits as well! The best way to not miss any of my reviews is to stay in touch! How did you add pages to your deluxe book? The normal option to select additional pages is not visible to me. Thanks! When you’re in the book making mode, scroll to the bottom of the screen after all your layouts. You’ll see a box to click on to add more pages with the cost and then you use a slider to add as many pages as needed. Apparently the problem is that you can only add pages to the 9×7 size currently (I tried 8×8, 6×6 and 7×5). Otherwise you are limited to 20 pages. Hi Yuki, I only tried the 8×10 and with that one I was able to add 12 pages so a total of 32. Those are the books that I took photos of for this review. I wasn’t aware that the other sizes didn’t allow you to add on pages or that there was a difference depending on the size book you selected. They don’t have that info on their site do they? I wasn’t able to find it. 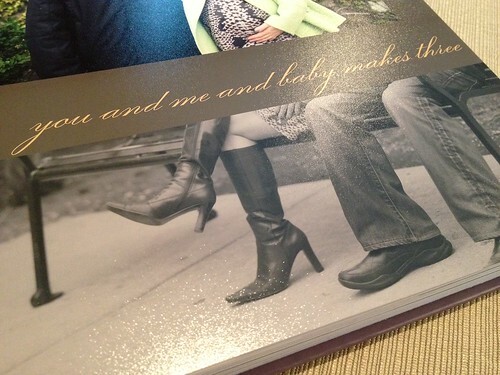 I’m glad you like my blog – happy photobooking! Artscow customer service got back to me – they had a glitch in their system where you could not add any pages to their deluxe books (aside from the 9×7 size).I felt so silly paging up and down and not seeing the “add a page” button… glad to know I wasn’t crazy! They have since fixed the glitch… so I can order my book now! Thanks again for the lovely review. What a timely post!!! I currently have an ABC book about 60% done – I’m using family photos for names, such as Cousins Chance and Caleb for C…. I’ll let you know how it turns out! Great suggestions for the use of board books. I’d love to hear about how it turns out! These are the thickest books I’ve found that could come close to board books, without paying a hefty flush mount price which would be a bit too expensive to put into a baby’s hands! How much does Nanni love Keira Blake? And more than there are numbers to count. That’s how much Nanni loves Keira Blake. So I just received my first Artscow Deluxe photo book. Overall, it is amazing! I did the largest one they have, which I think is a 9 x 12. 95% of the pictures came out great, and you can tell it is real photo paper. The thickness of the pages, is about equivalent to my professional wedding album!!! I also really liked how the cover came out because it is a matte finish which I like better. It looks VERY professional from the outside. Now for the 2 problems I have with it. Almost all of my images span both pages, and on the black and white ones, there is almost a pinkish hue along the center line. This causes an issue because my daughter now has a pink line going through her on many of them. I have emailed them and they asked me to send pictures. I really hope it was just a random thing and that the will reprint it for me. The only other issue was that one of my really large pictures looks pixelated when you look closely at it. I didn’t get any warnings that it wasn’t high enough resolution. It was the same as all of the others (from a professional shoot) so I don’t know why there was an issue with that one. But overall, this book kicks the booty of my PhotobookAmerica book. I couldn’t uses them for all of my books however, because my photobook america book was like 110 pages, and I think you can only go to like 32 in these deluxe books. It does maxed out in 32 pages after I re-read your review. Yes, their deluxe line has a limit because the pages are so thick. 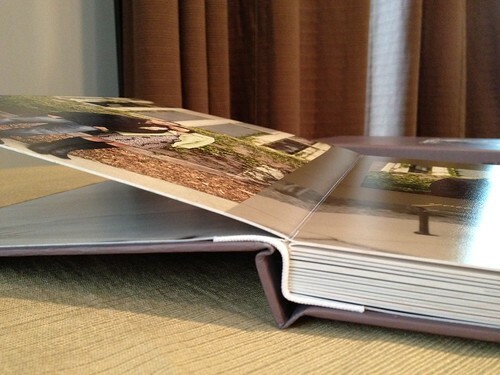 Most flush mounts or photo books with thicker pages normally are limited to lower page counts. The binding has some max capacity. I haven’t tried to use any templates so I checked out their forum and see that they don’t have any for their deluxe books – I don’t know why that’s the case but I bet they’ll update that in future if folks ask for it. Did you see my collage post regarding Picasa from last week? You could give that a shot. It’s not going to give you max flexibility though, but it will give you some options. Thanks for the tip that you created your page layouts in Photoshop and then uploaded the full thing (I assume you mean the full 2-page spread). I had been wondering how well that would work, as I am not interested in messing with their WYSIWYG editor. Hoping to order books soon! Yes, it was a 2-page spread – you can use their 2 page spread button to get it to cross over the 2 pages, but you have to use the cursors to line it up. I recommend doing a preview to make sure it lines up. It can be a bit tricky, but you’ll be able to tell if it’s not lined up properly in the preview. Good luck with your books! Cecilia: Welcome to ArtsCow Live Help, how may I help You today? 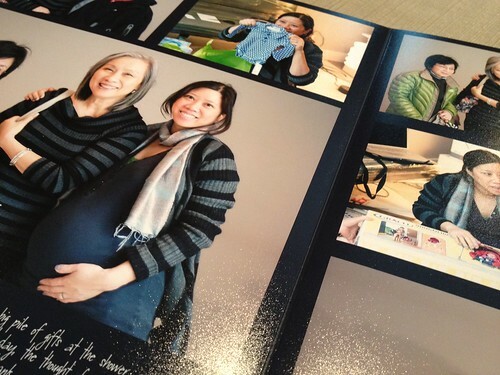 Lana: I created a photo book and wanted to edit brightness, contrast and saturation of my pictures. How I can do it? I am going back to Picaboo.com, they not only have so more layouts and edit options, they also have customer service with courteous manners.